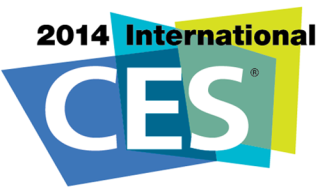 CES 2014: Live from Las Vegas | What Hi-Fi? Join the whathifi.com team in Las Vegas, US as we bring you the very latest news from CES 2014 direct from the show floor. CES 2014 - the world's biggest technology showcase - is now underway and the whathifi.com team are there to bring you the very latest as it happens. More than 3200 exhibitors have arrived in Las Vegas, US, and you can follow all of the press conferences, product launches, keynotes and more. Keep up to date with the big press conferences as they happen with our Facebook and Twitter pages, starting with LG at 8am PST today (Monday) (4pm, UK). Sharp, Panasonic, Samsung and Sony are also among the press conferences that take place today (Monday), with more to follow during the week. You can also catch up with the highlights from the first day of CES 2014, which has seen a variety of new products unveiled as part of CES Unveiled.